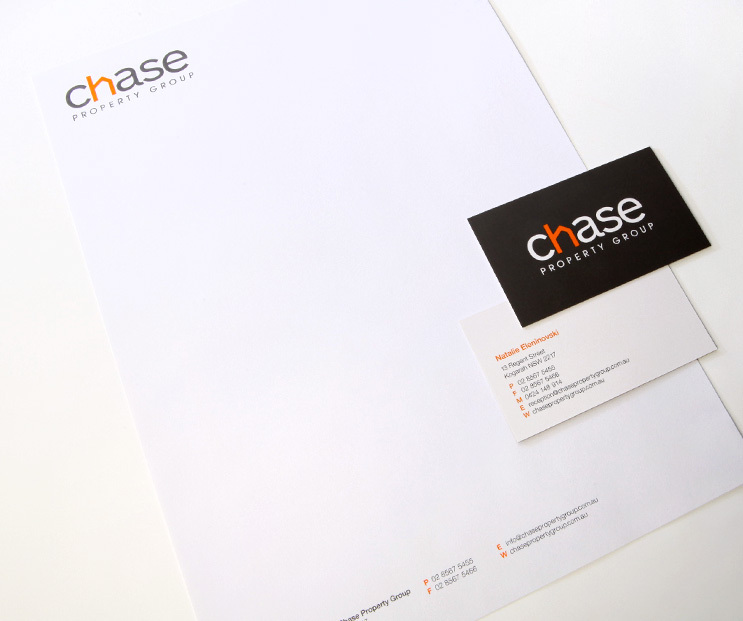 The Chase Property identity is strong and aspirational, offering an assertive yet approachable message to potential buyers and sellers. 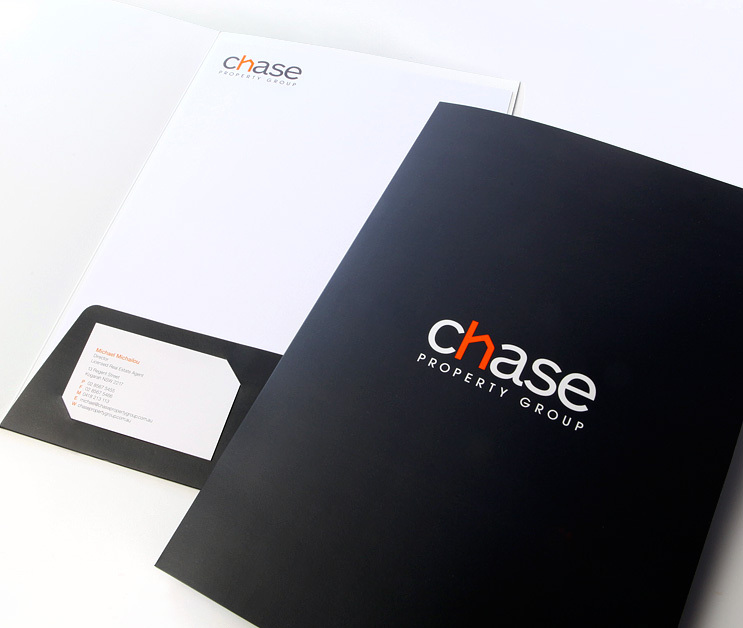 The ‘h’ in Chase forms a roof icon to reflect the broad spectrum of residential or commercial properties and also illustrates an upwards moving arrow to represent ambition and advancement. Sharp orange combined with dark grey and a simple sans serif font gives a dynamic yet professional look.